I'd be willing to bet that every photo posted by a major news organization these days spends at least some time in Photoshop, whether it needs it or not. Sometimes the images are altered to make them more compelling or more interesting, missing the fact that a news organization is supposed to provide the truth, not entertainment. Here are 6 examples that show you that you shouldn't believe everything you see in a photograph. Reuters was caught in 2006 running an altered photo of the capital of Lebanon, with some accusing them of being biased against Israel. After the scandal broke, Reuters broke all ties with the freelance photographer responsible. I don't know what's worse with this one - that he altered the image, or that he did such a bad job of it. The original and altered Reuters photo of Lebanon. 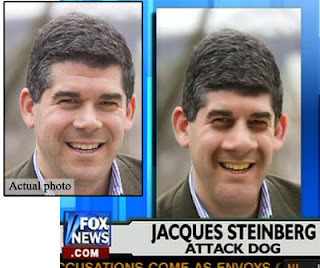 Back in 2008, Fox News altered an image of Jacques Steinberg, a reporter for the NY Times, after Steinberg reported that Fox New's ratings were on a downward trend. After being caught, Fox news claimed they were skewing his image the same way he had skewed the story. 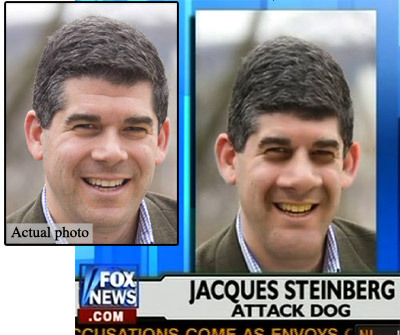 I think Fox must employee the Muppets to Photoshop their images. TV Guide may not qualify as a "news" organization, but this one was too funny to pass up. 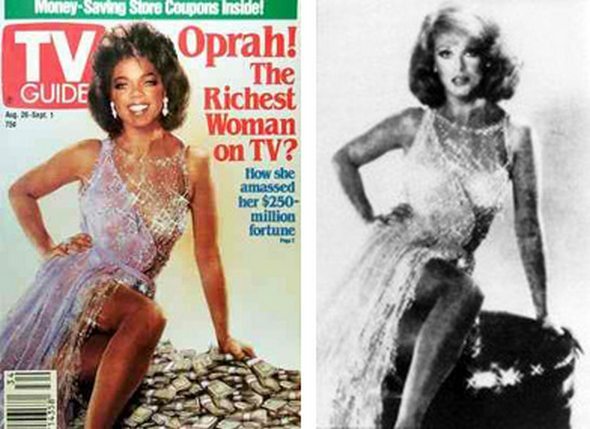 In 1989, they put Oprah's head on a Ann Margaret's body. The actress' fashion designer spotted the switch when he recognized the dress. 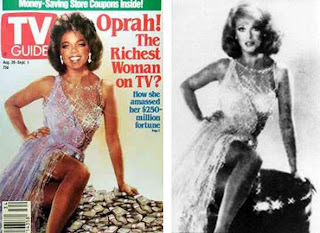 Neither Ann Margaret nor Oprah was aware of, or approved, the alteration. You'd think they could have shrunk Oprah's head to match? Sepah News, the publication wing of the Iranian army, released an image in 2008 of a test launch of a new missile system. Unfortunately, one of the missiles didn't fire, but Sepah decided that 5 minutes of work in Photoshop could fix what 5 years of development time could not. Hey, since when is 3 ain't so bad. 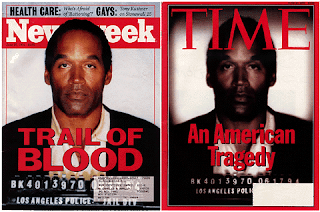 Time magazine was busted back in the mid-90's for their altered mug shot of OJ Simpson. They made the image darker and shrunk the size of the prisoner ID number. Unfortunately for Time, the magazine went on display right next to an un-altered photo on the cover of Newsweek, making the manipulation easy to spot. Newsweek had the catchier title, too. Of course, photo alteration isn't anything news. In the photos below, you can see how Stalin liked to try and erase from history those who got on his bad side. Nikolai Yezhov, an NKVD leader, was executed in 1940, and subsequently taken out of photos where he appeared alongside Stalin. The lesson is: Never piss-off Stalin.